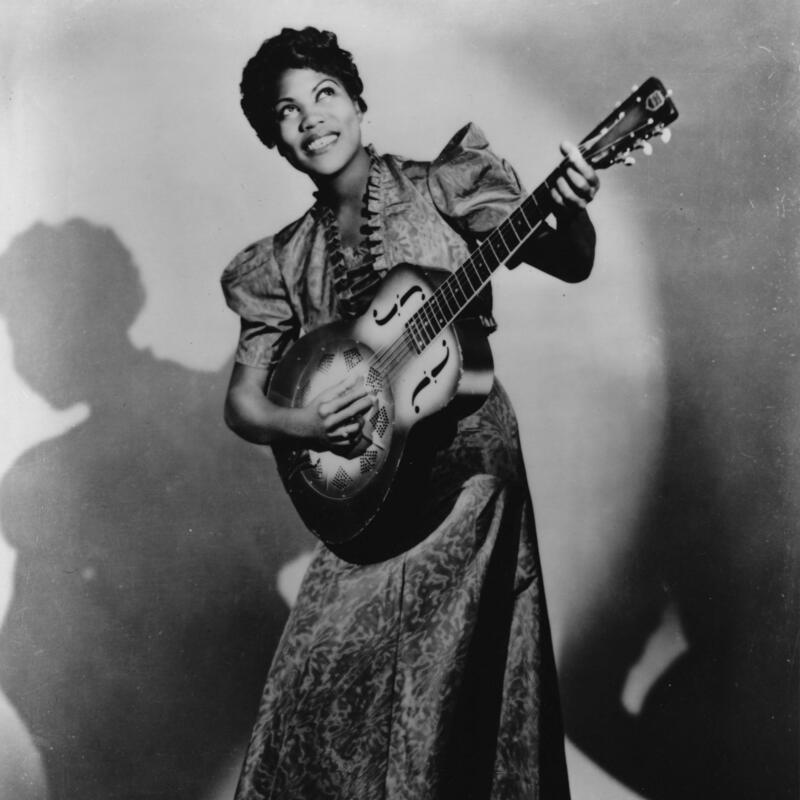 Sister Rosetta Tharpe seems to be the unsung hero of Rock and Roll. While sadly forgotten today, she served as a great musical influence to many great names we now know and love, such as Elvis Presley and Johnny Cash. In a few days, she will finally claim her rightful place among the greats in the Rock and Roll Hall of Fame. Born in rural Arkansas in 1915, Rosetta was exposed to music from the outset of life. Little is known about her father other than that he was an amazing singer, which may be where Rosetta’s phenomenal pipes came from. Her mother was a devout Christian who would sit out and play on the guitar or tambourine, singing and playing for people and encouraging them to convert and see the wonder of Jesus. This is where Rosetta learned to play and to love religion. At the age of six, Rosetta’s mother left her husband, taking her child North to Chicago where they joined Robert’s Temple Church of God in Christ. Not only did the move expose the young girl to the urban music scene of jazz and blues, but the congregation gave her a stage to perform on. She played and sang for the congregation, quickly becoming a sensational musician and show-woman. Over time, she became a famous church performer, her mother taking around to different cities and congregations, building her name and reputation. In the 1930s, the pair moved to New York City and Rosetta entered the world of commercial music. At first, she lost the devotion of churches because of her definitely-not-about-God singing in nightclubs and her questionable song productions after signing with Decca Records in 1938. Her first major hit was the single, “Rock Me,” which pushed the boundaries of spiritual music, her deep growl asking to be “rocked” insinuating something a little different than the religious meaning. Under a contractual obligation to sing whatever the label wanted her to sing, Rosetta released the song, “Tall Skinny Papa”–an undeniably raunchy lyric–and shortly after returned to singing gospel songs, the music she truly loved. Soon, the church liked her again, as did everyone else. By the age of 25, she was rated as among the finest musicians of the day. Rosetta was loved for a variety of reasons. She was an amazing performer, putting her heart and soul into her performances, singing not simply to the people, but to the Lord himself. A clergyman from one of the churches she performed at said that her gospel songs often spoke of suffering, but her singing expressed a freedom which awoke the congregations and revived the people. Her gorgeous voice and unique, lively plucking style on the electric guitar, paired with her religious zeal made Sister Rosetta Tharpe gospel’s first superstar. As mentioned before, she was incredibly influential to many of the great rock and roll artists, so why is she only being inducted into the Rock and Roll Hall of Fame now? She was nominated for the first time in 2018 and will be inducted posthumously on May 5th. Why is it that she has been more or less forgotten up until now? What issues are at play here? 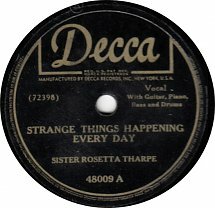 Let’s listen to some more of good ol’ Sister Rosetta Tharpe. Sister Rosetta Tharpe-Documentary 2011, https://www.youtube.com/watch?v=W_n0vkzc8PU. Rock & Roll Hall of Fame, https://www.rockhall.com/nominee/sister-rosetta-tharpe.